An extremely useful little book (one in a series of cities) to use when deciding on where exactly to go on your next vacation. 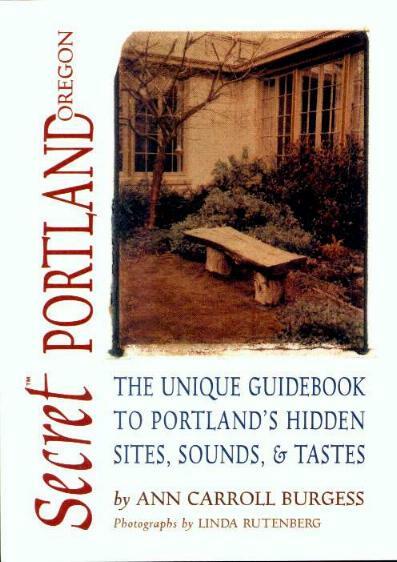 This discovery of the northwest city of Portland, Oregon, is handy enough to take along on your trip. It includes addresses, telephone numbers and where available, web addresses. All kinds of snippets of information to spark interest in perhaps a never-thought-of possible destination. It's a little different from the usual travel guides and makes for a lot less aimless paging around. My suggestion is to just read the whole book, marking relevant sections of interest so that you can easily return to them,or, use and mark up in the extensive index for future reference. Lots of delectable-sounding places to eat at, stay at, or sightsee. Apparently Portland has the second most-climbed mountain in the world after Mt. Fuji in Japan, namely Mt. Hood. Near Portland you'll also find the only summer snow skiing in the USA. To my astonishment, Portland is a huge beer microbreweries center too. Other cities in the series include, among others, Montreal, Vancouver, San Diego, New York, Boston, and Chicago. Conclusion - Very handy, and alluring. For Freelance Magazine/Newspaper Book Reviews, please contact me.